There’s something about the Mountain Goats that provokes delirious, unbridled reverence amongst a large portion of their fans; a level of veneration that goes beyond that which many bands can claim. I’m not talking about gangs of screaming kids or the usual “I‘m your number one fan!” type of nutcases you get at almost every gig, but a deep, profound respect that comes from a band having touched some part of a fan’s life in an important way. Maybe it’s Mountain Goats’ main man John Darnielle’s way with a witty, insightful lyric. Maybe it’s his way of telling dark tales of hopelessness and despair, but adding a positive twist. Maybe it’s the fact the tunes are great, or a combination of all of the above and more. When I last saw them live (in a 1200 capacity venue), there were people near the front of the stage barely holding back tears of joy, while clenching their palms together and bawling “Thank you John! Thank you John!” to a singer-songwriter who took it all in his stride. He really gave the feeling that he was used to that sort of thing. In response he said to the small audience “You have been a really great audience, and as a way of saying thank you, I’m going to play more songs about all the terrible things people do to one another,” which drew just about the biggest cheer of the night. I found myself getting lost in the moment and almost shedding a tear myself. 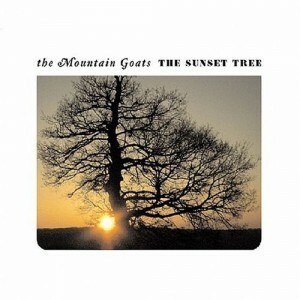 “The Sunset Tree” is an album full of stories about Darnielle’s childhood, including the domestic violence he suffered at the hands of his step-father. Sounds miserable, doesn’t it? Not so. You won’t find any self-pity or tortured artists wallowing in misery here; Darnielle is much too smart for that. Instead, he creates simple songs telling stories about how he coped with the hand life dealt him. He always finds a way to come out the other side a stronger person, and he wants us all to do the same. But of course it can’t all be positive; the dark times have to precede the bad. Opener “You or Your Memory” is a lonely tale of being in a motel room with nothing but a bunch of aspirin and bad ideas. “If I make it through tonight, I will mend my ways, and walk the straight path until the end of my days,” Darnielle promises himself. Luckily he makes it through, only to continue the mood with “Broom People”, which sets the scene for the rest of the album; describing his family home as being covered in newspaper and cat hair. “I write down good reasons to freeze to death, in my spiral red note book,” Darnielle sings, without a hint of self-pity. How to follow a line like that? How about “I am gonna make it through this year, if it kills me” on “This Year”. Probably the Mountain Goats’ best-known song (and for good reason), “This Year”, is quite simply, a stunning piece of work, and is a beautiful combination of darkness and light, played to a tune that is as catchy as the Mountain Goats are ever going to get. Telling the story of defying his stepfather by taking his car and going to visit a girl to drink whisky, play video games, and generally escape his clutches before inevitably having to come home to face the music, “This Year” is a masterpiece of uplifting storytelling. With its vivid, innocent, and heartbreaking imagery, it’s a song that immediately has you rooting for the young Darnielle, especially given the fragile mindset he was in for the first two songs. 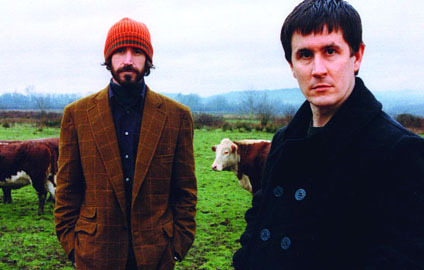 When the Mountain Goats played this song at their concert, Darnielle had lost his voice and just mouthed the words, while every last punter in the room sang every word at the top of their lungs, and again I was one of them. Magical! 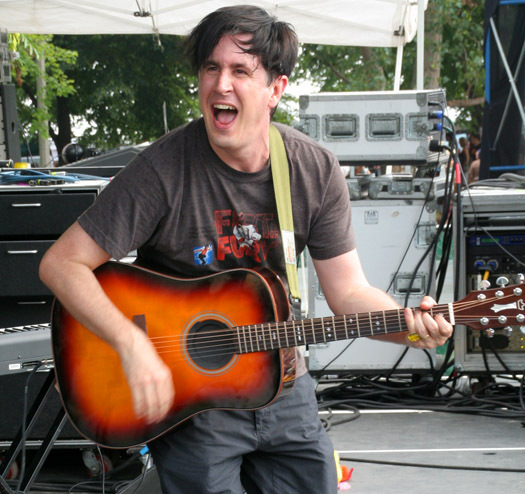 “Dilaudid” follows; a string-laden burst of painkiller-fuelled anguish that sees Darnielle wanting to take his foot off the brake in all kinds of metaphorical ways, before “Dance Music” describes his coping method when issues of domestic violence or getting in trouble with the law might have come into his life. “Lean in close to my little record player on the floor, so this is what the volume knob’s for, I listen to dance music”. From here we have “Dinu Lipatti’s Bones”, “Lion’s Teeth”, and “Hast Thou Considered the Tetrapod”, showcasing the band as being fine, versatile musicians to go along with the engaging lyrics. “Song For Dennis Brown” is the next standout track; a straight-up tribute to the reggae singer, told to a narrative involving several down-and-out characters of small-town America. “On the day my lung collapses, we’ll see just how much it takes” being a reference to the drugs that killed Brown. “Love Love Love” is possibly the second best song on the album, and another one that has a massive effect on people when played live. It’s a story that includes mentions of Sonny Liston and Kurt Cobain, but remains positive despite the subject manner. Maybe this explains what I witnessed at that concert. Give it a listen below, all of it too!